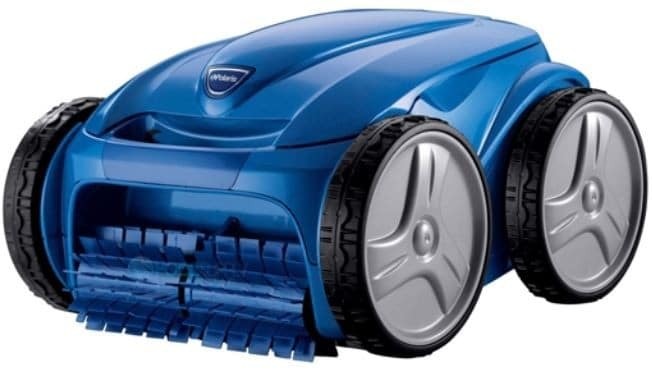 Tired of looking for the best in-ground robotic pool cleaner? Then you shouldn't worry because we've got it covered for you. If you're one of those people who have a lot to do all throughout the day and just do not enough time to clean out the pool, then it's recommended for you to invest in something that will help you maintain the cleanliness and service of your pool while being able to do other things, as well. The Polaris F9450 Sport is one of the most efficient and effective in-ground pool cleaners you can find. Here are more details about the product. The Polaris F9450 is undoubtedly one of the best in-ground pool cleaners out there as it provides best-in-class cleaning performance and features. It is designed to have a Vortex Vacuum Technology which can help clean your pool without losing too much suction. This means that it can go through any pool terrain and climb over ladders or any obstacles without getting stuck in the process of doing so. It cleans while it navigates! It is equipped with an ActivMotion Sensor which allows the cleaner to automatically navigate its position in the pool, calculate and adapt to its position and employ the most effective cleaning route. This can clean all pool surfaces such as tiles, pebbles, vinyl, gunite, and fiberglass to name a few. It also scrubs the floor, walls, and tile line with its equipped pleated scrubbing brush. The unique thing about this robotic pool cleaner is that it has an all-purpose filter canister that has about four times the capacity of any other filter canister. What does this mean? Well, you can save up to 70% less of filter cleanings and operating costs (since you're going to have to use electricity to power this up). The machine is designed to have a top access large capacity filter canister so the debris can easily be removed from it. There's no need to go through all the complicated stuff of removing the filter and debris. All you have to do is to shake it and spray it. This is actually good for you since you don't have to scrap off and touch whatever debris that has been caught from the filter. You can program your pool's cleaning schedule with the Polaris F9450! You can set up the schedule for 7 days, customize the cleaning cycles depending on your preference and your pool's need, set it, and you can totally forget about it. So the next time you dive in for another swimming session, you won't even feel like you've had trouble cleaning your pool up. It cleans pool up to 50 feet in length, and it conveniently weighs just about 16 lbs, so it's relatively easy to move around and store. 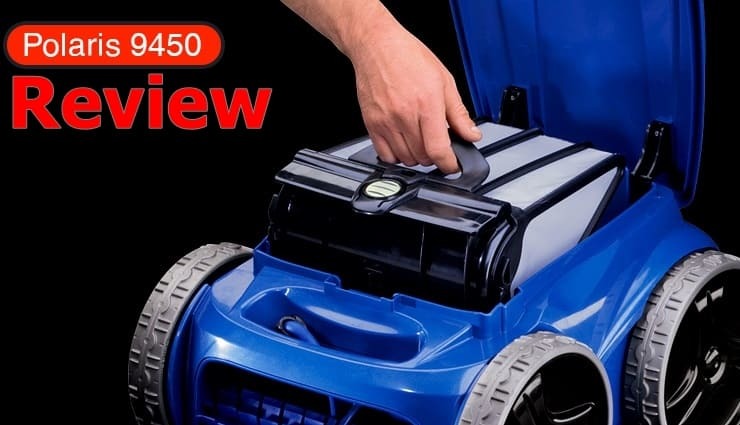 It also includes a new premium, compact transport caddy that can be assembled without any tools and it comes with a 2-year limited warranty. Will it work in above-ground pools? The Polaris F9450 is specifically designed to work for in-ground pools. You can try to use this with above-ground pools and it can do some work, but you cannot fully maximize its features as it is not specifically intended for that kind of use. No, there's no need for a boost pump. To power on this unit, all you have to do is to plug it to an electrical outlet, hook it up to your pool filter and just simply drop in carefully in the water. Will the power cable tangle with itself in the pool? No, it will not. But only if you set it up correctly! So before using it, make sure that you only use the cable length needed for your pool. Do not unravel the entire cable length. Place only the required length of cable in the water and place the rest of the remaining cable on the side of the pool. Although it's a bit pricey, it's actually reasonable and worth the price! You get every convenience you will need when it comes to pool cleaning. With the Polaris F9450, you can schedule the cleaning up for one whole week! Its filter can also contain four times the capacity than that of a typical pool vacuum cleaner. It can also navigate itself on its own, and even avoiding obstacles in the process of doing so. It's the perfect and smartest in-ground pool cleaner.